The Office of the Pontifical Colleges of Heraldry is a roman dicastery in charge of heraldic and noble areas serving the Aristotelian Holy Church and the Papal States. It is composed of two distinct colleges : the College of Heraldry of the Clergy and of the Holy-Armies which assists members of the clergy and of the Holy-Armies, of whatever nationality, in obtaining and the achievement of their coat of arms and their seal ; and the College of Crossbowmen which regulates heraldic and noble matters relating to Papal States ; whose specificities and skills are detailed below. The Office depends on the Pontifical Chancellery and is established as "Pontifical Colleges of Heraldry" or "Roman Colleges of Heraldry". Article 1 – The Great-Officer Herald : The Pontifical Colleges of Heraldry are under the exclusive authority, except the Pope, of the Great-Officer Herald. His authority is sovereign in matters of heraldic questions and decisions. He is appointed and dismissed by the cardinal Arch-chancellor. Extensive expertise in heraldry are required, both in practice and in theory. Article 2 – The Officer Herald : In the exercise of his function, the Great-Officer Herald is assisted by a prefect who takes the name of Officer Herald. He administers in harmony with the Great-Officer Herald the Colleges of Crossbowmen and the College of Heraldry of the Clergy and of the Holy-Armie. He appoints and dismisses the Pontifical Heralds, experts and apprentices in heraldry. He appoints and dismisses, in agreement with the Great-Officer Herald, an eventual vice-prefect whose act of nomination specifies the prerogatives. 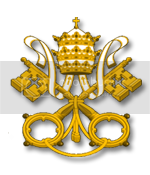 Article 3 – The Pontifical Heralds : The pontifical Heralds are representatives officers of the Sovereign Pontiff in His States. They are appointed and dismissed by the Great-Officer Herald or by the Officer Herald . They are members of the College of Crossbowmen. Their mission, rights and duties are defined thereafter according to their status. Article 4 – The experts in heraldry : The experts in heraldry are full members of the College of Heraldry of the Clergy and Holy-Armies. They are accredited by the Great-Officer Herald or by the Officer Herald. They actively participate in the achievement of coats of arms and seals of clergymen and Holy-Armies for which their expertise is recognized. Article 5 – The apprentices in heraldry : The apprentices in heraldry are students-members of the College of Heraldry of the Clergy and of the Holy-Armies. They are accepted and fired by the Great-Officer Herald or by the Officer Herald. They are followed in their learning and by the College of Heraldry Clergy and Saintes-Armies. The Heralds in charge of national Clergies. The Cardinal Connetable of Rome. The Heralds in charge of the Military-Religious Order recognized by the Holy Church. The Knight Senator of the Military Office of the Order of the Star of Aristotle. Article 2 : While respecting the sovereign authority of the Great-Officer Herald, the College of Heraldry of the Clergy and of the Holy-Armies is placed under the direct administration of the Herald Officer. He oversees the various workshops and ensures their operation under the rules of this law. Article 2.1 : The College of Heraldry of the Clergy and of the Holy-Armies is also placed, for matters related to the Holy-Armies, under the joint responsability of the Congregation of the Holy-Armies and of the Pontifical Chancellery.. Article 3 : Decisions of the College on matter of organization and operation are endorsed by the Officer Herald ; on matter of heraldic rules by the Officer Herald after being endorsed by the Great-Officer Herald. Article 4 : The College of Heraldry of the Clergy and of the Holy-Armies has the function of be a place of exchange and discussion between the Heralds of the clergy which are in national colleges. They organize their work and developing synergies. N.B. : National Heralds of the Clergy, in their heraldic mission, are not agents or officers of the Church or of the Holy See. These are, according to the laws and regulations in strengths in different states, officers of the monarch, subject to its authority and will in the exercise of their heraldic function. Their presence and accreditation within the College of Heraldry of the Clergy and of the Holy-Armies are only justified by the desire to create synergies in the clerical heraldry, taking advantage of the help and experience of everyone in this area and to compensate for any vacancies. Article 5 : The College of Heraldry of the Clergy and of the Holy-Armies has the function of identify and retain works, knowledge, nobiliaries, heraldic treaties and archives of the Aristotelian Church, its clergy, its congregations or its components. Article 6 : The College of Heraldry of the Clergy and of the Holy-Armies is competent for creating coats of arms and blasonnements to any cleric, noble and armed dependent member of the Aristotelian Church in accordance with national laws in their states. Article 7 : The College of Heraldry of the Clergy and of the Holy-Armies alone is competent to create furniture, ornaments and heraldic objects necessary for the distinction of coat of arms of clerics. Article 8 : The College of Heraldry of the Clergy and of the Holy-Armies is competent to propose to the National Colleges of Heraldry herald candidates to fill the vacant seats of National Herald of Clergy. Article 9 : Coats of arms and seals made within the College of Heraldry of the Clergy and of the Holy-Armies are validated by heralds and experts at the time of their publication. Article 10 : Banners, flags and uniforms of the Congregation of the Holy-Armies will be validated by Cardinal Connetable following the opinion of the College of Heraldry of the Clergy and Holy-Armies. Article 11 : The College of Heraldry of the Clergy and of the Holy-Armies sits in the Roman Chancellery in Palazzo San Benedetto. A list of ornaments reserved for the clergy and the Universal and Roman Aristotelian Church. A list of reserved furniture to the clergy and only Military-religious orders. A list of official banners and gonfanons Holy-Armies. An armorial updated for each Military-Religious Order. Officials necklaces of the Knights of Isenduil and other ornaments and regulations of the Chivalry of the Military-religious orders. Badges and Large Coats of arms of the Congregations and components of the Church. Article 13 : Decisions concerning registration of specific heraldic ornaments and related to Aristotelian Church are made exclusively by the Great-Officer Herald. The Great-Esquirre of His Holiness. Article 2 : While respecting the sovereign authority of the Great-Officer Herald, the College of Crossbowmen is placed under the direct administration of the Herald Officer. He oversees the various workshops and ensures their operation under the rules of this law. Article 4 : The College of Crossbowmen is the guarantor of the feudal and heraldic laws and customs in the Papal States. Article 5 : The College of Crossbowmen alone is authorized to determine the nature, coat of arms and rank of fiefdoms located in the Papal States. Article 6 : The College of Crossbowmen validates the coats of arms and blasonnements of pontifical nobles. Article 7 : The College of Crossbowmen alone is competent to create furniture, ornaments and heraldic objects necessary for the distinction of coats of arms of pontifical nobility. Article 8 : Coats of arms and seals made within the College of Crossbowmen are validated by its heralds at the time of their publication. Article 9 : The College of Crossbowmen sits in the Roman Chancellery in Palazzo San Benedetto. the maps of the Papal States. The register of the senatorial nobility. The genealogical register of the papal nobility. A list of heraldic ornaments reserved for the papal nobility. The list of heraldic treaties. Article 11 : Decisions concerning registration of specific heraldic ornaments and related to the Pontifical Nobility are made exclusively by the Great-Officer Herald. The heraldist or provincial herald : he manages one or more provinces of the Papal States. His task is to ensure the maintenance of the noble registers, registration and confection of weapons and coats of arms of the nobles of his province. The senatorial herald : he is in charge of ensuring the keeping of registers of the senatorial nobility, recording and making of weapons and coats of arms of senatorial nobles. The genealogical herald : he ensures the census and the archiving noble lineages of the Papal Nobility. The herald ès jousts : he ensures the census and the listing and ranking necessary for the organization and monitoring of jousts organized under the auspices of the Sovereign Pontiff. Article 13 : Pontifical heralds must take an oath to the Great-Officer Herald or the Officer Herald. Article 14 : Pontifical heralds wear behind their coat of arms, in saltire, according to the first common ordinance « two white velvet caduceus studded with gold aristotelian cross ; the extremities naked and protruding topped with a triangular point with edges oval, in vermilion ». Article 15 : The organization of the heraldic and nobiliary justice in the Papal States is ensured by the Court of Héliée whose statutes are defined in an auxiliary codex conserved in the registers of the Pontifical Colleges of Heraldry. Article 16 : The officer-heliast is selected from among all the pontifical heralds ; he is appointed and dismissed by the Grand-Officer or Officer herald. Canonical text on the Supreme Government of the Church, Given and approved in Rome by the Sacred College during the pontificate of the Holy Father Innocent VIII the twenty-third day of the month of May, the year MCDLXIII of our Lord. Last modification the twenty-third day of the month of May, the year MCDLXIII of our Lord. First published by His Eminence Arnault d'Azayes, cardinal-camerlengo, on the twenty-third day of the month of May, the year MCDXIII of our Lord. Have ruled and ordered, and by our present perpetual and final edict, say and order the publication of the Canon Law concerning the Office of Pontifical Legist, originality drafted by His Eminence Arnarion de Valyria-Borgia and His Eminence Francesco Maria. The new publication will be available in the Roman Library, as well as an annexe to the current announcement. Given in Rome on the 2nd day of the 8th month of the Year of our Lord MCDLXV. Archchancellor of the Pontifical Chancellery. The Office of the College of Pontifical Lawyers is a Roman dicastery in charge of monitoring canon law. It is composed of a chamber: the College of Pontifical Lawyers who watches, studies, comments, discusses and advises on canon law. This is an Assembly gathering canonists from all horizons whose competence was considered essential for the Holy Church. The Office is dependent on the Pontifical Chancery and is established as "College of the Pontifical Lawyers". Article 1 - The College of Pontifical Lawyers shall meet as an Assembly composed of the Pontifical Lawyers, who shall be under the authority and responsibility of the Consul of the Lawyers. Article 2 - Congregational Cardinals have the right of permanent seat in the Assembly and have the right to veto any decision. Article 3 - Access to the Assembly can be granted in two ways: free candidature and candidature on the proposal of Episcopal assemblies. All candidatures will be subject to rigorous examination by the Archichancelor, the Vice-Archichancelor and the Consul of the College of Pontifical Lawyers. Apart the two congregational Cardinals, the Assembly is composed by a number of twelve lawyers which constitutes the numerus closus. This one can specially been extended by agreement of the congregational cardinals. Article 4 - The Assembly has the duty of reservation. All internal work or in connection with the Sacred College, the Congregations and the Episcopal Assemblies before publication is strictly confidential. Article 5- The Assembly shall take its decisions by voting for a period of 5 days by simple majority. Article 6 - Decisions shall be taken also by consensus. If no contrary opinion is expressed during the following 48 hours, the decision is considered as adopted. - Provide any assistance and advice to an external applicant, including the members of the Holy Curia, the Roman Congregations, the Episcopal Assemblies as well as any faithful who have questions about canon law. Article 8 - The Assembly can be seized to verify the canonical conformity of any decision emanating from an ecclesiastical authority, excluding the Sovereign Pontiff. Its conclusions are indicative and do not constitute Justice value. Article 9 - The Consul of the Lawyers: The College of Pontifical Lawyers is placed under the authority of the Consul. He is responsible for convening the assembly, at the request of the congregational cardinals, the Curia or on his own initiative. His duty is to direct the sittings of the Assembly and the work carried out in the College of Pontifical Lawyers. He must also ensure the proper coordination of the debates and make the conclusions to the congregational cardinals. Article 10 - The Vice-Consul of the Lawyers: In the exercise of his functions, the Consul of the Lawyers is assisted by the Vice-Consul of the Lawyers. Together they administer the Legislative Assembly. Article 11 - The Pontifical Lawyers: They form the Assembly of the College of Pontifical Lawyers. Article 12- A pontifical lawyer is a faithful, baptized, ordained or not, whose competences in canon law are recognized by the Holy Church. Article 13 - When appointed as a pontifical lawyer, he is recognized as a specialist in canon law and must be recognized as well in the whole Church. Article 14- Every pontifical lawyer has the duty to meet in the Assembly and to bring his knowledge in canon law during the debates as well as to participate in the work assigned to him by the Consul and the Vice-Consul. Article 15 - Every pontifical lawyer has the right to seat in the Assembly. He has the right to speak and vote in meeting. Article 16 - A too long absence in the assembly, a breach of secrecy or any form of disobedience is a reason for immediate removal from the College. Article 17 - The removal automatically loses the status of pontifical lawyer and the recognition as expert in Canon law. Canonical text on the Supreme Government of the Church, Given and approved in Rome by the Sacred College during the pontificate of the Holy Father Innocent VIII the II day of the month of August, the year MCDLXV of our Lord. Published by His Eminence Arnarion de Valyria-Borgia, cardinal-Archichancelor of the Holy See, on the II day of the month of August, the year MCDLXV of our Lord. Have ruled and ordered, and by our present perpetual and final edict, say and order the publication of the Canon Law concerning the Office of the Index, originality drafted by His Eminence Arnarion de Valyria-Borgia. Given in Rome on the 9th day of the 9th month of the Year of our Lord MCDLXV. 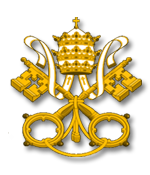 The Office of the Index is a Roman dicastery uniting archivists in charge of ensuring the proper keeping of records of excommunications, censures and prohibitions. The Office is dependent of the Pontifical Chancellery and is established as the "Office of the Index". Article 1 - The Office of the Index is a composition of archivists placed under the authority and responsibility of the Prefect of the Index. Article 2 - It is the duty of the Office to carry out a monitoring and indexing work on all decisions issued by the Curia, the Congregation of the Holy Inquisition, the national consistories, which have as their object excommunication and censorship. Article 3 - Idem, it is its duty to receive and/or request as well as to classify any announcement of prohibition issued by a member of the Episcopal Assemblies. It will have to index the names of the quoted faithful. Article 4 - As the Church, the register of the Office of the Index is universal. It is thus valid for every territory bathed in the shadow of Aristotle and all faithful baptized in the true Faith. Article 5 - By extension, the register of the Office of the Index also records the name of any person outside the Church and which constitutes a danger to it. Article 6 - The Prefect of the Index: The Office of the Index is placed under the authority and the responsibility of the Prefect. He has a duty of monitoring the archiving and indexing as well as updating the registry. He must also ensure that the work is properly coordinated between archivist and the authorities issuing the measures. The Prefect certifies, upon request, whether or not there is a name in the index. Article 7 - The archivist: Within the Index Office, the archivist has the duty to archive the announcements and to index the information within the register. Name - date of entry in the Index - link to the announce. Article 9 - If the name in the index is removed, it shall be deleted from the penalty register and placed in the register of lifted penalty, in accordance with the same standard as specified above. Name - date of first entry in Index - link to first ad - date of second entry in Index - link to second announce. Name of the work - author - editorial date - date of the Index. The great codex of the Index is subdivided into two parts: Index hominum prohibitorum and Index librorum prohibitorum. This part has the function of recording the names of the men and women who have turned against God and having abandoned His Holy Church for the benefit of heresy. All men and women in a state of excommunication and apostasy are recorded here. Every man and woman who have died in a state of excommunication and apostasy are listed in this register. All men and women whose excommunication has been lifted by the competent authority are mentioned here. All dangerous groups and persons to the material and spiritual integrity of the Church and the Aristotelian world are mentioned in this register. Every baptized faithful who has been banned by the competent apostolic authority has his name registered here. All priests, vicars, deacons, sacristans and chaplains who are subject to a prohibition shall be under a divinis penalty and indexed in that register. They are prohibited from officiating and distributing the sacraments until the competent authority has lifted their sentence. The purpose of this component is to record the names of all the writings, compilations, books and works of the mind openly damaging the Truth by promoting error. They are considered dangerous to the good morality and intellect. Canonical text on the Supreme Government of the Church, Given and approved in Rome by the Sacred College during the pontificate of the Holy Father Innocent VIII the IX day of the month of September, the year MCDLXV of our Lord. Published by His Eminence Arnarion de Valyria-Borgia, cardinal-Archichancelor of the Holy See, on the IX day of the month of September, the year MCDLXV of our Lord. The Universal Register of Sacraments is a roman dicastery gathering archivists in charge of ensuring the proper keeping of baptisms, marriages, deaths and ordinations. The Office is dependent on the Pontifical Chancery and is established as the "Universal Register of Sacraments"
Article 1 - The Universal Register of Sacraments is a composition of roman archivists placed under the authority and the responsability of the Prefect of the Register. Article 2 - The Universal Register of Sacraments is responsible for sacramental certificate’s archiving and conservation made by every priest, deacon, chaplain from each diocese, parish, chapel and corporation from all over the Aristotelity. Article 3 – It is the responsibility of the Universal Register of Sacraments to collect certificates from each diocese, parish, chapel and corporation in order to classify and keep them in the best possible conditions. Article 4 – Idem, it is its duty communicating as soon as a legitimate religious or civil authority, requests the verification of a certificate. A duplicata may be provided to any of these legitimate authority. Article 5 – The Universal Register of Sacraments is the only official roman organ devoted to the archiving of sacramental certificates. All priest, deacon, chaplain will be required to deliver them to an archivist who is the only one able to register it in Rome. Article 8 - The Prefect of the Registry also called General Secretary : The Universal Register of the Sacraments is placed under the authority and responsibility of the Prefect. It is his duty to supervise the collection, classification, preservation and communication of the sacramental certificates. He must also ensure the proper coordination of the national secretariats composing the Universal Register. Article 9 – The Vice-Prefect of the Registry, also appointed Deputy Secretary-General : It is his duty to assist the Prefect in the Roman Secretariat and to ensure that the National Secretariats are properly coordinated. Article 10 – The National Vice-Prefect, also called National Secretary : He is the head of the national secretariat of his language zone. He has to supervise the archiving and to ensure the proper coordination of its archivist team. He must also refer the matter to the Prefect under whose authority he is placed. Article 11 - The Archivist : Working within each national register, the archivist's mission is to collect the sacramental certificates of the dioceses, parishes, chapels and corporations of his language zone. Published by His Eminence Arnarion de Valyria-Borgia, cardinal-Archichancelor of the Holy See, on the IVth day of the month of October, the year MCDLXV of our Lord. Reflecting the will expressed by the Holy See to give the city of Rome a splendor worthy of its stature as the center of the Holy Church and the capital of the world, have ruled and ordered, and by our present perpetual and final edict, say and order the creation of a roman communal council named Office of the City, and the publication of its Canon Law. Given in Rome on the XXVIth day of the Xth month of the Year of our Lord MCDLXV. The Office of the City is a Roman dicastery in charge of the urban administration of the City of Rome and its suburbs. It fulfills the functions and acts as a municipal council. The essence of the Office comes from the will of the Sovereign Pontiffs to strengthen their control and to endow the City with a material splendor worthy of its status as the seat of the Church and capital of the Aristotelian World. The Office is dependent on the Pontifical Chancellery and is established as the "Office of the City". Article 1 : The Office of the City also called "Magistri Aedificiorum" is a composition of Aediles responsible for the urban management of the Roman city. Article 2: The term "Aedile" refers to the civil magistracy which invests urban powers. Article 3:The aediles exercise their magistracy throughout the whole city of Rome and its suburbs. Article 4: It is his duty to ensure the administrative and territorial management of the Roman Urbs. In this respect, it must regulate the right to own property, exempt permits to build, provide cartographic records and keep the register of the cadastre up to date. Article 5: It is its duty to ensure the maintenance of public health. He is responsible for overseeing the maintenance of public buildings, ensuring proper sewerage and road maintenance, and overseeing work within the City. Under expropriation for public utility, it is the responsibility of the High Authorities (admins) to dispose of unused and abandoned buildings (archiving). Article 6: It is its duty to ensure the supply of food and water to the inhabitants. Its role is to supervise the markets and ensure the price of sales. Article 7: It is his duty to watch over the good manners of the city of Rome and its suburbs. Article 8: Finally, it is his duty to ensure the maintenance of public order in the heart of the city and its suburbs. The Office must ensure the peace of the city in good understanding with the Pontifical Guard. Article 9: The Office of the City is under the direction of the Prefect of the City also called "Praefectus Urbis". The latter is appointed by the Archchancellor in accordance with the Pope. He is himself Aedile and acts in the name of the Pope. Article 10: The Prefect of the City appoints and dismisses the Aediles of Rome and distributes the work. Article 12: The Prefect of the City : He is the superior Aedile of Rome. In addition to his ordinary duties, he is responsible for overseeing the other Aediles and ensuring the proper management of the Office. Article 13: The Aedile : It is the urban magistrate responsible for enforcing the right to own property, to keep the register of cadastre and grant or withdraw acts of private property in the name of the Sovereign Pontiff. Article 14: Statutes Civitatis Romae, in other words, the Statutes of the City of Rome, is the set of rules governing the urban planning of the City and its suburbs. Article 15: The Status Civitatis Romae, subject to Dogma and Canon Law, have the force of law over the whole city of Rome and its suburbs. Canonical text on the Supreme Government of the Church, Given and approved in Rome by the Sacred College during the pontificate of the Holy Father Innocent VIII the XVIII day of the month of October, the year MCDLXV of our Lord. Published by His Eminence Arnarion de Valyria-Borgia, cardinal-Archichancelor of the Holy See, on the XXVIth day of the month of October, the year MCDLXV of our Lord.